The AHRC’s latest feature article marked the airing of BBC4’s documentary about the life of the Gloucestershire WW1 poet Ivor Gurney. The documentary, which you can watch on BBC iPlayer until 1am on Friday 11th April, draws on Gurney’s poetry, music and his war experiences as a Private at the front line and at home in a mental asylum. Fittingly, Gloucester Cathedral, where Gurney was once a chorister, has unveiled a new stained-glass window marking the life of the poet. 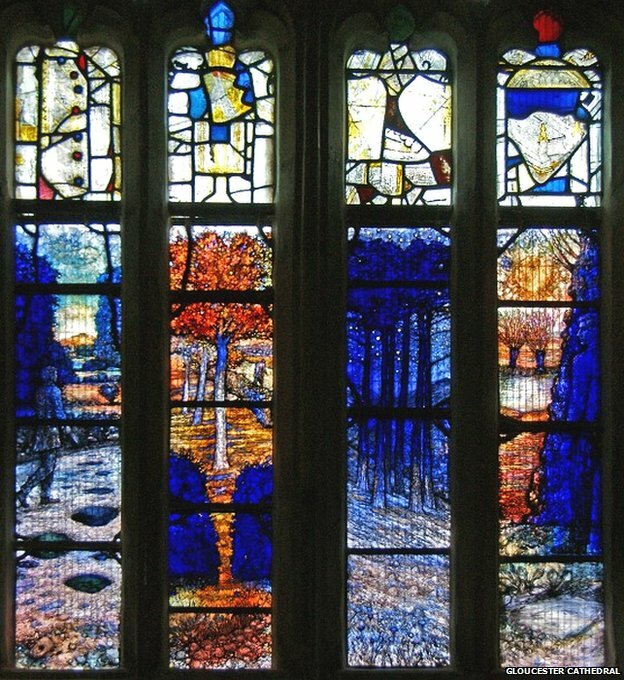 The window will be dedicated at a service this month, and the Dean of Gloucester described it as “a fitting tribute to all who served during the Great War”. If you aren’t familiar with Gurney’s work, two short clips below from Professor Tim Kendall’s documentary “The Poet who Loved the War” give a new and unique flavour of the unflinching power of his artistic response to his war time experiences.